March is “Music in the Schools Month”. 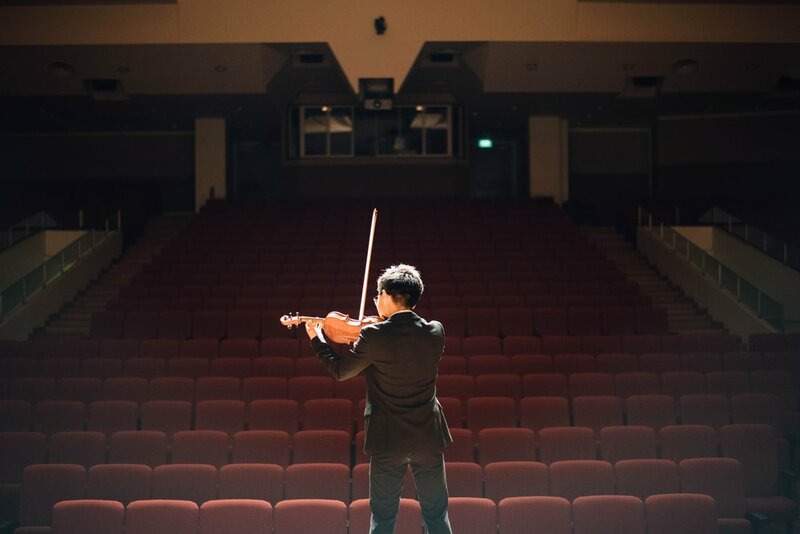 While it is wonderful to promote the importance of music in our schools in this way, it is merely a first step in the effort to focus the public’s attention on how critical music is to our schools’ curriculums and in the lives of students. Despite nice declarations like this, the question remains: Why do we continue to underfund or cut music programs when the research is so clear regarding their positive educational, community building and economic impact? To fully leverage music’s power and potential to educate and change lives, schools and communities, it is not enough to simply talk about it. We must follow our words and platitudes with deeds and funding. The fact is, if education and community leaders identified music and arts programs as being critically important to schools and communities and funded them accordingly, the public would follow. In short, if we build it, they will come. The research regarding music and the arts’ positive educational and community building impact is clear. Yet, despite that research, too often education and community leaders have yet to fully embrace it. If you don’t accept, embrace and apply the “tools” (research, data and narratives) regarding music and the arts’ positive impacts, you can’t build anything. That said, the arts community must become more organized and aggressive in holding education and community leaders accountable for their priorities and funding decisions. Building music and arts interest groups is tedious organizational work. And once developed, these groups must no longer shy away from challenging the status quo to drive real change. The good news, however, is that that work has been made easier through the power of social media with its’ capacity to forge connections and bring people together for a common cause. That,, coupled with the fact that the data, research and narratives supporting the value of the music as an educational, community building and economic tool offers potent fodder for powerful advocacy efforts. The first step is to move beyond the traditional “arts for art’s sake” narrative. Yes, the arts are uplifting. Yes, the arts are a window into a society’s soul. But in an environment of increasing educational expectations and declining resources, the “arts for art’s sake” argument is no longer good enough. Further, arts advocacy is no longer simply about education and community building benefits. There is also a very significant economic impact associated with investment in music and the arts. While the common perception of “artsy types” is that they are not comfortable talking about the economics of school and community funding, the fact is, decision makers must be held accountable for not only considering the educational and community building research, but also the emerging data pointing to music and the arts’ economic impact. As arts advocates, we must all become “Creative Capitalists”, unafraid to engage in the down and dirty justifications of economic impact. Such a shift in approach is necessary because in many cases, those who are in decision making positions do not fully understand and appreciate the importance of “arts for art’s” sake but understand very well matters relating to business, economics and the concept of return on investment. The educational return on investment in music and arts programs is significant and growing. This is particularly relevant given that the currency of the future in this rapidly changing, global community and world economy will be creativity. The issues and challenges we face as a society are becoming more complex. To effectively address those increasingly complex issues and challenges, we must develop on our populace, a corresponding increase in creativity. Further, many of the jobs of the future don’t even exist yet. That is why the number one skill business leaders are looking for in their employees is out of the box, creative thinking and problem solving. The research confirms that the most effective tool in our educational and community arsenal to nurture creativity is music and the arts. The arts instill that characteristic as they not only allow but encourage students to “color outside the lines” without penalty. The priorities education and community leaders establish and the funding decisions they make have great influence. If those leaders clearly articulate and then follow through with funding decisions that support those priorities, the public will follow. If music and the arts are viewed as critical and funded accordingly, the public will begin to consider them important as well and, as a result, will support their funding. We expect our leaders to lead. But they must have the courage, vision and conviction to go where the data and research regarding music and the arts’ educational, community building and economic impact takes them. At the end of the day, if we decide to build it, they will come.